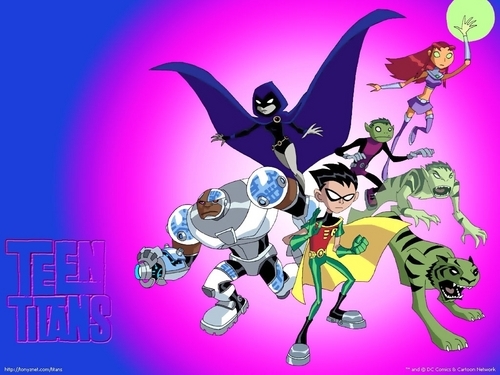 teen titans. . HD Wallpaper and background images in the teen titans club tagged: teen titans robin raven titans teen. This teen titans wallpaper might contain anime, komik, manga, and kartun. the carecters are really THIN. what was it we were talking about? oh yes, age! they all look 10 years old! that is so weird - the characters r thin with BIG heads and look like 10 years old WEIRD .